At only 60 pounds, Kiah is not like most other K9 police dogs. She’s also different because she’s a Pit Bull, which are often stereotyped as aggressive monsters used for fighting. Kiah is proving that Pit Bulls can defy these harmful stereotypes and work to help police find and protect people. She’ll be using her excellent nose to track missing persons and detect drugs for the Poughkeepsie Police Department north of New York City. Kiah comes to the force courtesy of the Animal Farm Foundation, which is a non-profit rescue group trying to put an end to misinformation about Pit Bulls. They partnered with Universal K9, a group that looks through animal shelters for dogs that might make good additions to police forces. They provided Kiah to the Poughkeepsie Police Department at no cost, which is good considering a traditional police dog can cost up to $15,000. Kiah seems very happy to please her trainers and will act as an ambassador for her breed. She has a home now. Pit Bulls usually have trouble getting adopted because of the stereotypes surrounding them. 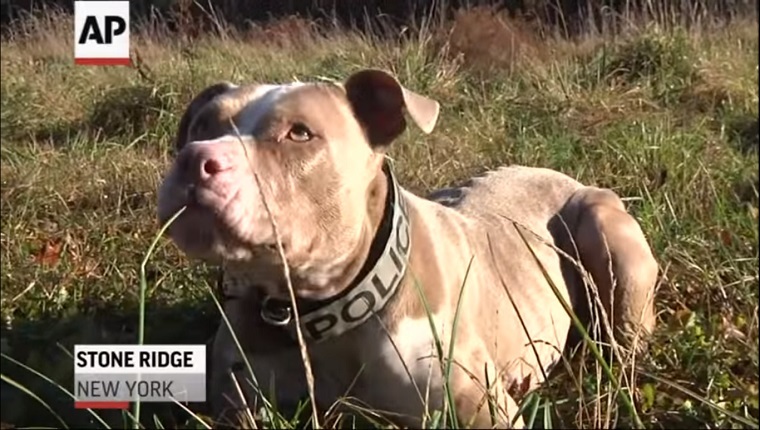 A shelter dog with a poor chance of being adopted found a place where she belongs, a police department got a free K9 dog to help them, and the people of Poughkeepsie are safer with Kiah on the job. Everybody wins. What do you think? 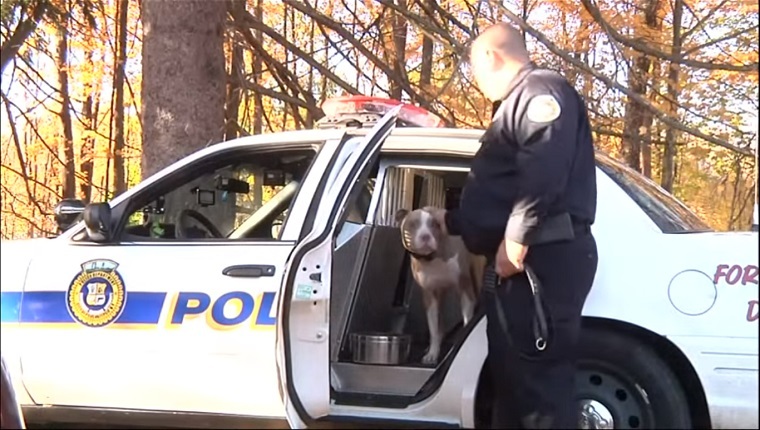 Would you like to see more Pit Bulls used on the police force? Let us know in the comments below.